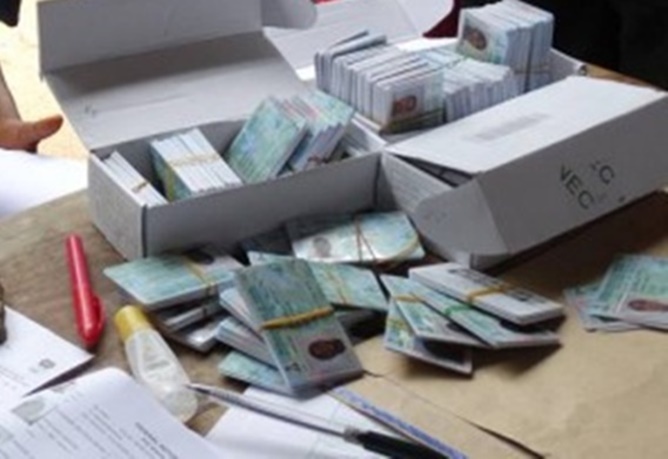 President Goodluck Jonathan, has charged the chairman of the Independent National Electoral Commission (INEC), Professor Attahiru Jega to ensure that all eligible Nigerians who registered to vote are provided with their permanent voter’s registration cards. Jonathan said this on Wednesday, while swearing in a new national Commissioner of the commission, representing Oyo state. According to him, no Nigerian should be disenfranchised because of his inability to get the PVC. “Nigerians are getting worried whether INEC can actually conduct elections because of the PVC. Talking about the PVC, even some governors are complaining that they are yet to get their PVC. If governors are yet to get their voter’s cards, of course that means that so many Nigerians are yet to get and people are a bit worried. “But to me I’m quite pleased, not pleased in the negative sense, but because of the awareness that has come on; that Nigerians want to have their voter’s cards. In 2011, no Nigerian will complain about voter’s card and that’s why when some politicians talk I just laugh. Before 2011 how many Nigerians complained about not having voter’s card because elections were not conducted with voter’s cards. Nobody cared, we are all adults in Nigeria and we knew what was happening,” Jonathan said. Professor Jega, who was also present at the swearing in of the new commissioner promised that every eligible Nigerian would be provided with a PVC before next month’s general elections.